You probably know I stop at a Goodwill Store & a Goodwill Outlet close to my office every other week or so. I just go by to see if I can find any cool film camera equipment. I've been lucky most of the stuff I find works A-OK, or can be put in working order with a bit of TLC. If it doesn't work I just pitch it. No need to spend any time, effort or money on fixing things. 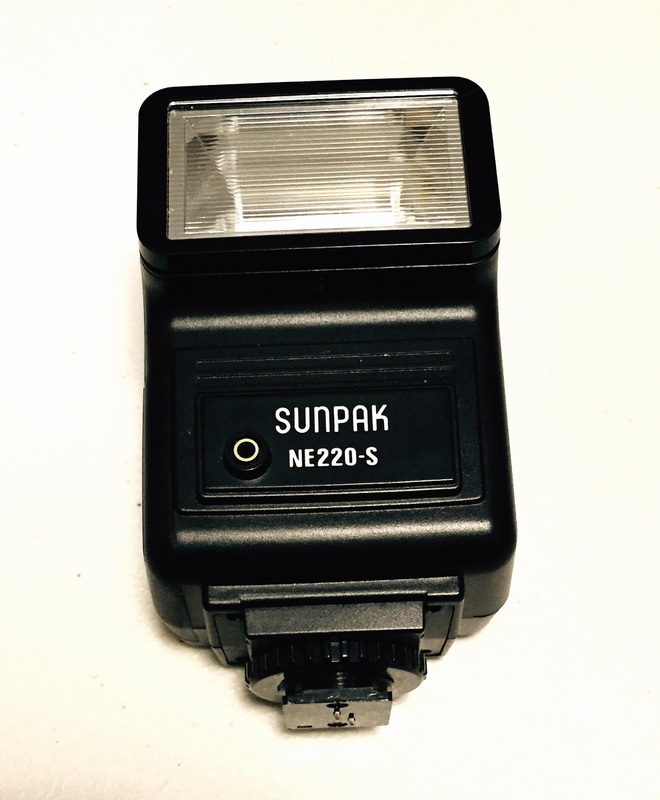 I found a Sunpak NE220-S speed light the other day. I thought it would be a good addition for a couple of my older range finder film cameras. There was a bit of corrosion on the battery leads, but not much. I cleaned it up, but alas the speed light doesn't work. It will end up in the trash. I get a few "dead on arrivals" every once in awhile. That is the curative for GAS alright, every time I think of buying another old camera I think do I really want to chance another light meter not working?